Add audio to video easily to refine your work. There are times when you encounter an audio file in AIFF format. It is an uncompressed file format, which means that the file size is often large. It can be opened with Windows Media Player and other media player. But more often than not, it is not compatible with smartphones and portable music players. That’s why you need to find the best AIFF to MP3 converter. 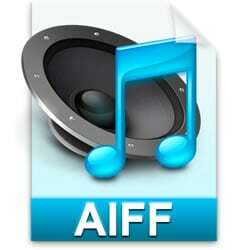 There are various ways to convert your AIFF files to MP3. It depends on your preferences. You can choose from the different solutions available for you, which include free online conversion services, free desktop software programs, and all-purpose audio editors and converters that support converting AIFF to MP3 files. When looking for the best AIFF to MP3 Converter, one of the top choices is a free online conversion service. The conversions are all done online, which means that there’s no need to download and install any software on your computer. Most of the online AIFF to MP3 converters are free to use, and you don’t need to register in order to use them. All you need to do is to upload the audio file to the website, and it will be converted into MP3. Then you will be given a link where you can download the converted file. On the downside, you need to have a fast Internet connection. Keep in mind that AIFF files are large and you need to upload the file to the online conversion service. That’s why you need to have a good and steady Internet connection to upload the file. But if your Internet connection is not a problem, then an online service is the best AIFF to MP3 converter solution for you. It is convenient and easy to use. Plus, you don’t need to install anything to convert your audio file. That’s why people opt to use this method when they are looking for ways to convert your AIFF files to MP3. Below are some of the top online AIFF to MP3 converters. Another solution that allows you to convert AIFF to MP3 files is a free desktop software program. Once you have installed the converter on your desktop or laptop, you don’t need an Internet connection for it to work. Converting the audio files is easy with the use of the software. You just need to load the AIFF file and then convert it by clicking a button. When looking for the best AIFF to MP3 converter app, you should look at the features. The settings must be customizable to allow you to change the audio size, frame rate, and bit rate of the resulting MP3 file. There are also some desktop programs that allow converting AIFF files by batches. This is ideal for users who have a bunch of AIFF files that they want to convert into MP3 files. While free desktop software programs do their job, most of them are dedicated to converting AIFF to MP3 and nothing more. Once you are done with the task, they will only occupy space in your hard drive until you need to convert another audio file once again. The good news is that it is free to use. It is ideal for users who often convert AIFF files to MP3s. But if you are going to use it once, then you are better off with an online converter. Some of the best free AIFF to MP3 converters include: formats. There are audio editors that allow you convert AIFF to MP3 files. This type of software is more powerful than free desktop converters. Aside from converting audio files, the applications can also edit them, such as splitting the files or improving its quality. The good news is that there are free audio editors that can do all the tasks that a paid one can do. Free software can do basic audio editing and conversion. They also have a user-friendly user interface that allows even beginners to start converting their AIFF files to MP3. An all-purpose audio editor can remove unwanted noise and apply audio effects to any audio file. They support a wide range of files, not just AIFF and MP3. Free software is ideal for people who are looking for a simple converter and editor. But, if you need to do complex audio editing tasks, then you should consider buying professional software. Wondershare Filmora-Recommended: Filmora is now renowned as the best choice for novice users who need to edit their videos and audios. It’s quite easy to use and covers all editing features, ranging from basic to advanced. Also compared with other programs, this program costs $19.99 for one year subscription, upgrades and tech support are all offered for free. Learn more about this program here. Do you want to add audio files/music to a video? There we recommend Wondershare Filmora, an easy-to-use video editing software which allows you to add audio files, audio effects to your video, and it offers you mutiple royalty free music for your to refine your video. Check this video to learn more. I use Avdshare Audio Converter to convert between various audio format like AIFF, MP3, CAF, WAV, WMA, AAC, AC3, M4A, Apple Lossless ALAC, etc.